Fit it in and find it fast with our Packing Cell Ultra – Double. This two-compartment cell is a travel must-have – however you like to travel. Use the folding board to get a perfect fit for your clean and folded clothes so they’ll stay pressed and fresh. The second compartment, with its Odegon® technology, is perfect for socks and undies or to zip-away dirty clothes. 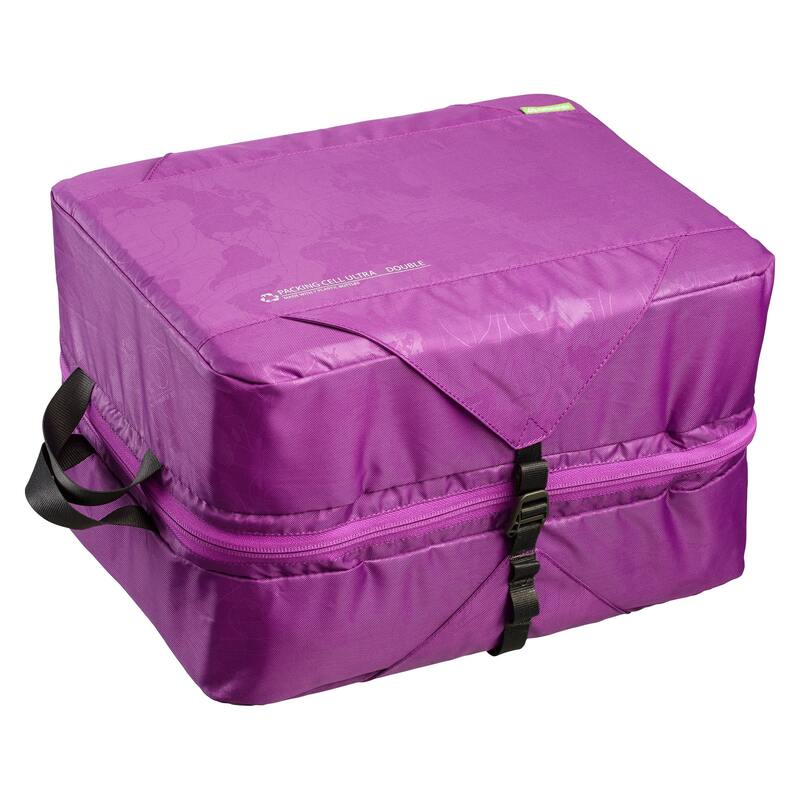 Compress the two compartments or unzip them to use separately.